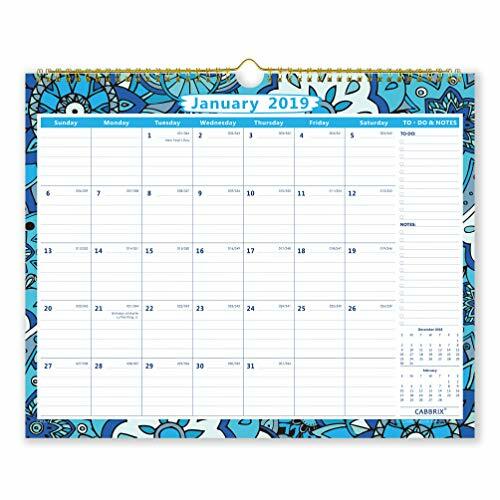 Twin-wire binding allows you to easily transition to the next month and hang your calendar on the wall, high quality white paper provides clean writing space for jotting down your appointments, to-do\'s and reminders. We guarantee our products are high quality and have a 12-month warranty. If you are dissatisfied with any of our products, please do not hesitate to contact us and we will reply within 24 hours.